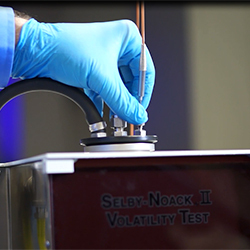 NOACK S2 Volatility Test | Lazar Scientific, Inc. The evaporation loss/volatility of engine oils is of particular importance to the automotive industry as it closely relates to oil consumption in an engine and can lead to a change in the properties of the engine lubricant. 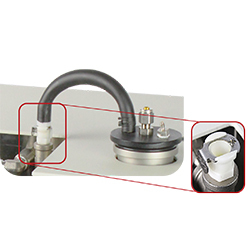 A measured quantity of sample is placed in an evaporation crucible and heated to 250°C for 1-hour while a constant flow of air, controlled at 20 mm H2O vacuum, is drawn over its surface to remove the resultant vapors. The loss in mass of the oil is determined by weighing before and after the test and calculating the percent loss. Calibration to lab environment using interchangeable Orifice Tubes – ‘tuneable’ to the atmospheric conditions of each lab. 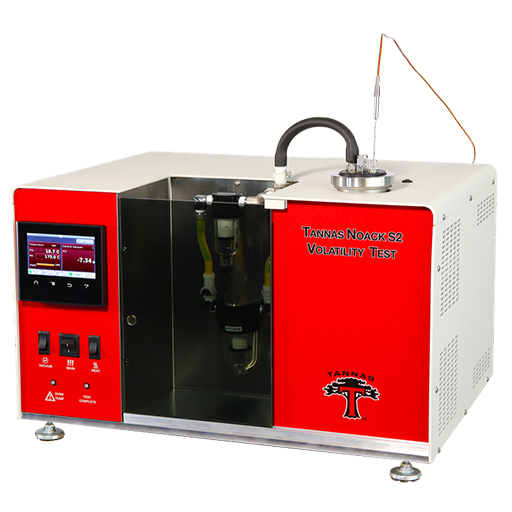 Only Noack System to collect volatile products for further analysis of phosphorus, sulfur, and other elemental oil vapors. Used for Phosphorus Emission Index (PEI) and Sulfur Emission Index (SEI) related to phosphorus and sulfur emissions from the combustion chamber. Design enhancements for improved test precision and ease-of-use for high sample workloads and robust day-to-day operation. 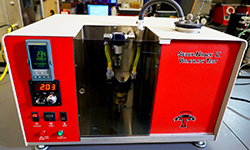 Incorporates metal Reaction Vessel and Quick Connect Fittings for test efficiency and easy cleaning. Compact, all-in-one design with small footprint. Quick Connect Fittings on the Tannas Noack S2 allow connections to snap together easily for rapid and stable test setup. Lazar Scientific is your reliable source for Volatility Testing Equipment.